Team Kwagga is very proud to announce that we won the Maxxis 4XTR National event at Wesvaal today (12 April), yeah baby! It was an incredible roller coaster ride on the leader board, after 3 obstacles we were leading but then fell way back the standings with 2 rolls in consecutive obstacles, ouch. We showed pedigree at this point, did not lose the plot, stuck to our game plan and I'm extremely proud that we managed to claw ourselves back from that deep pit all the way to the top of the leaderboard! Today's win puts us at the head of the Championship hunt as well, Team Kwagga is cooking again! 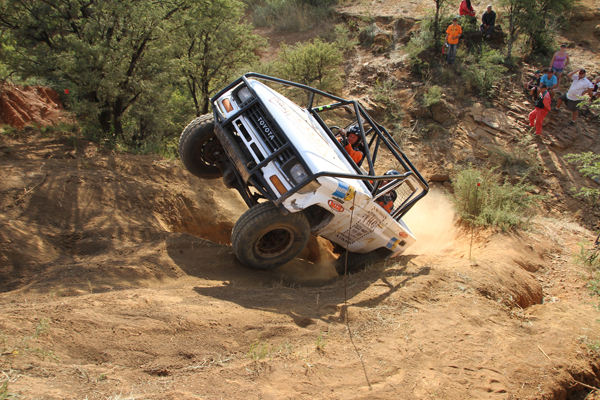 Please visit www.teamkwagga.co.za <http://www.teamkwagga.co.za> for some great action shots!